The story takes place in the summer of 1995 outside of Gothenburg, Sweden, during the rise of Neo-Nazi violence that was sweeping across the country. 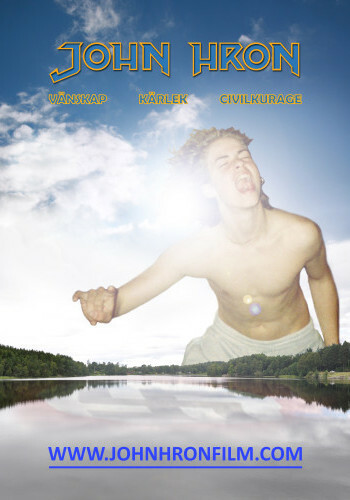 The film ”John Hron” is the true story about a teenager, his friends and family. John is caught up in defense of a student being bullied in school. As the conflict with the bully escalates it soon causes strain between John and his friends. While John is trying to win back his friends, the bully joins a violent Neo-Nazi gang. This also casts a long shadow over John’s plans of a future motorcycle vacation with his girlfriend and his efforts in perusing to win the national canoeing championships. The conflict reaches to threats of murder and finally evolves to a nationwide interest. For his fearless and heroic actions John Hron becomes a well-known icon and has had a great impact on Sweden even to this day.